Exterior idea for large homes allowing ample sunlight to come through the glass windows using white for most design and space used outside for gardening. 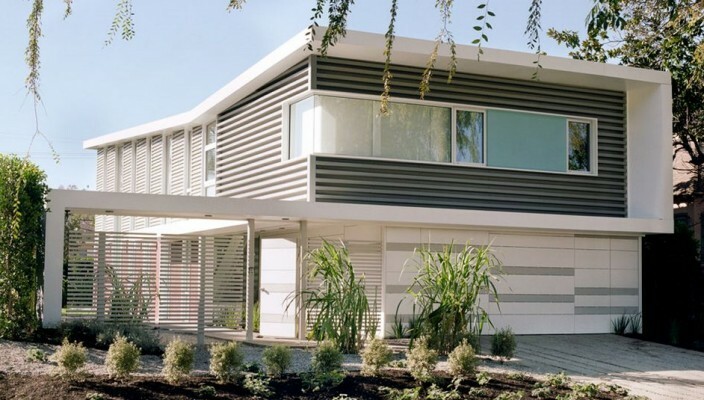 Classic and redefined exterior idea for modern homes that uses white for most of the design! With each side of the wall having large number of windows, this exterior idea offers ample scope for natural sunlight to come in. The space in the exteriors has been used smartly for the lawns, giving some space for gardening. Even after being a large theme, this one can be easily implemented in the small sized plots, as well.